A hardtail requires less maintenance than a dual-suspension bike – and they’re just plain fun to ride. Swim against the current with these awesome modern hardtails that can handle anything. A few years ago, I wanted to build what I thought was the coolest mountain bike ever – a hardtail with 26-inch wheels, wide tyres, and a long-travel shock. But even as a bike-shop owner, I couldn’t find anything to do with 26; no decent wheels, or tyres, or anything. Then I saw that local Cape Town frame-builder David Mercer was building a similar kind of hardtail, but with 27.5-inch wheels. I ordered a frame, cobbled together the other parts, and we built it. Suddenly, from no bike, I had a bike that could do everything: it was light enough for cross-country, and it had the right angles and geometry to ride aggressive trails. I’ve done an enduro series on it, I’ve ridden Wine2Whales… I love it because it’s so durable and versatile. I didn’t spend a fortune on a beautiful paintjob (I painted the frame myself), because I don’t want it to be something precious that I’m scared of damaging. It’s an implement of mountain destruction. I look after it, but I also smash it through sand and rocks. For me, that’s what having fun on a mountain bike is all about. I own an original Solaris, and it’s an elegantly simple 29er – fun to ride, and effortless to maintain. The guys I ride with all have dual-sus bikes, and they give me grief about my hardtail; but if you’ve never ridden a modern steel-frame mountain bike, then you’re missing out. Steel isn’t nearly as stiff as alloy or carbon – it has a suppleness that makes for a comfortable, forgiving ride. Plus, I beat them up all the hills. The latest Solaris has super-long, low, slack geometry (Cotic calls it ‘Longshot’ geometry), designed around a very short stem, wide bars, and 120mm-140mm suspension. It’s balanced, and fast – deceptively fast. The Roscoe 8 and the Cannondale Trail 2 (also featured here) might be the best-value out-of-the-box mountain bikes available at the moment. 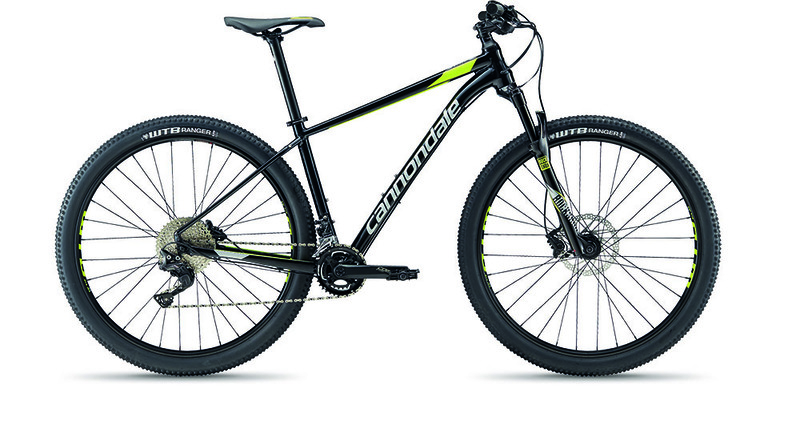 The Roscoe takes the 27.5+ approach, whereas the Cannondale is a classic 29er. Choosing between them depends on the kind of riding you want to do. The Roscoe is a trail bike. 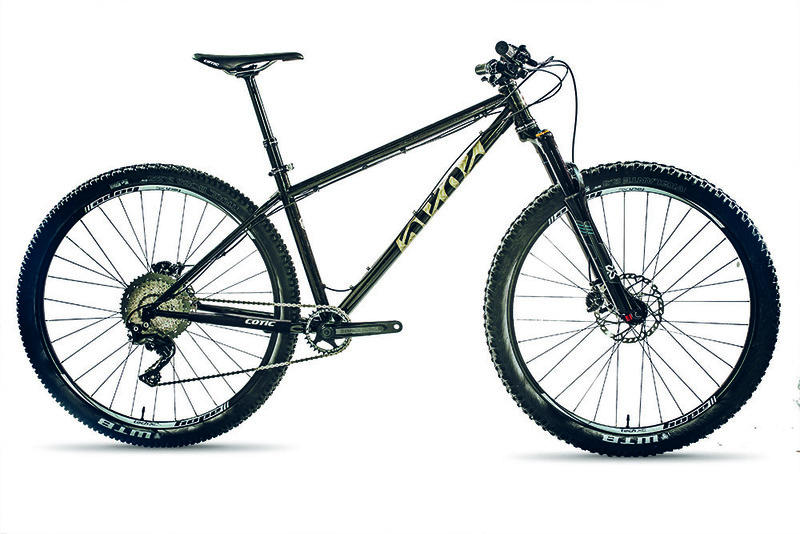 It comes standard with a 120mm fork and 2.8-inch tyres that dissolve rocks and roots. The frame is alloy, and the drivetrain is 1×11 SRAM NX. It even comes standard with a dropper post, which allows you to get more centred on the bike when things get gnarly. I can’t tell you how much a dropper improves the ride experience on a hardtail! This bike is a bargain, considering what you get. Cannondale make great aluminium frames, and the Trail is no exception – the frame is light and stiff, with a simple, elegant design. 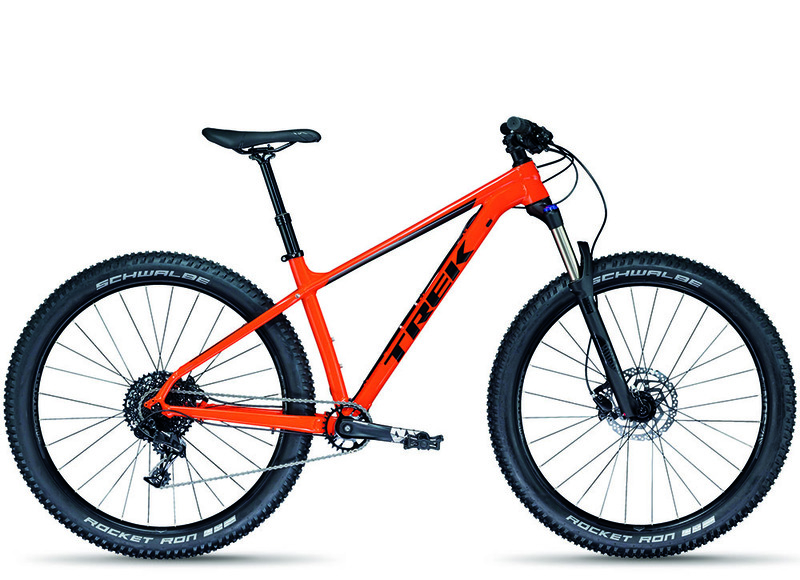 There’s literally nothing you have to upgrade: the brakes are Shimano Deore hydraulic; the shock is a RockShox Judy Gold RL with 100mm of travel; and the rest of the parts are a mix of 1×11 Shimano XT and SLX, with an 11-46 Sunrace cassette. 1/ Less maintenance. Rear suspension is a complicated business, with pivots that need to be cared for and bearings galore. All you have to do with a hardtail is check the tyre pressure and lube the chain, and maybe top up the air in the front shock every now and then. 2/ You become a better rider. You can’t just hammer through obstacles on a hardtail – you need to choose your lines more carefully. This makes you more aware on the trail, and your skills improve as a result. 3/ Your money goes further. A lightweight hardtail with good components doesn’t cost as much as a small car. If you’re on a budget, you’ll get loads more bike for your buck.